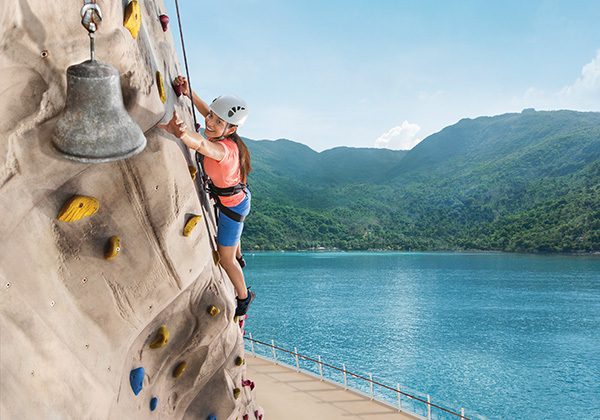 Rock The Boat 2019 visits 3 ports including Sydney Noumea and Isle of Pines. Check out some of the key information for each destination below. The Capital of New South Wales is home to arguably the most beautiful port in the world. Hosting over a million cruise passengers each year, we are honoured to call it our arrival and departure destination for Rock The Boat 2019. Once you get on board the Radiance of the Seas, you will be treated to 360 degree views of the Sydney CBD and harbour depending on where you are standing on the ship. From the historic neighbourhood of The Rocks, to the towering city skyscrapers or unparalleled views of the iconic Sydney Opera House and Harbour Bridge & Luna Park; departing Sydney makes for a memorable experience to kick off your cruise holiday. There is plenty to do while in Sydney, so for first timers or lovers of travel, we recommend extending your holiday either before or after your cruise to take advantage of what this beautiful city has to offer – there really is something for everyone! Calling all thrill seekers! To discover the best views of the harbour with 360 degree views of the Sydney Skyline, take the 1,332 steps with your Climb Leader as your guide as you ascend the arches of the Bridge and enjoy the iconic views of Sydney, situated in one of the most beautiful harbours on earth. Throughout your Climb, your Climb Leader will entertain you with stories about the history of the Bridge. From its construction, to its opening in 1932, right through to its place in day to day local celebrations. The sweeping white-sand crescent of Bondi is one of Australia’s most iconic beaches. It has probably featured on more postcards and more television shows and films than any other in Australia. Reliable waves draw surfers while, nearby, hardy locals swim in the Icebergs ocean pool year-round. Trendy, health-conscious Sydneysiders head to laid-back cafes around Hall Street, while backpackers frequent the area's casual pubs. Only 30 minutes from the Sydney CBD, it will make a beautiful day out for passengers looking to have a day in the sun before or after their cruise experience. Nouméa, the capital city of New Caledonia sits right by the ocean. Several bays extend along the city, providing magnificent beaches and points of view. Nouméa is an annual attraction to Cruisin’ Country passengers who can enjoy the quaint French Caledonian township and live a day in the life of a Nouméa native enjoying seaside living. The Radiance of the seas will dock in an industrial port when visiting Nouméa, so you will be provided a free of charge shuttle bus which will deliver you straight to the Noumea Tourist Centre to start your day on the island. At the centre, you will find local delights at the marketplace upstairs, and various tours and day trip options from local vendors. A cafe at the centre offers french baguettes and cheese, great coffee and free WI-FI to touch base with your loved ones at home. Nouméa predominately accepts $AUD from travellers at the tourist centre, however the local currency is Pacific Franc (XPF). This is the official currency of all New Caledonian islands and destinations on Rock The Boat 2019. Besides its natural features, Nouméa also has very attractive cultural offerings for tourists who choose to visit there. The Jean-Marie Tjibaou Cultural Centre showcases Kanak heritage, and the Musée de Nouvelle-Calédonie has exhibits from across the Pacific region. The Aquarium of Noumea introduces local marine life to a mass of cruise visitors each year. The city is blessed with several parks and gardens when you can enjoy a pleasant stroll. Start with the Zoological Forest Park, located in the heights of the city and offering an enjoyable day of discovery as well as local flora and fauna. Other ‘green lungs’: Coconut Tree Square in the downtown area hosts events and fairs throughout the year, Ouen Toro facing the sea, or even the Nouville Trail to Fort Tereka. The sea pediment was also built to accommodate a beautiful stroll between Orphanage Bay and the Pierre Vernier promenade. Soak away your cares in this beautiful sheltered bay. A beautiful, uninterrupted view out to the pale blue waters of Lemon Bay offer a look into the carefree life of local Caledonians. 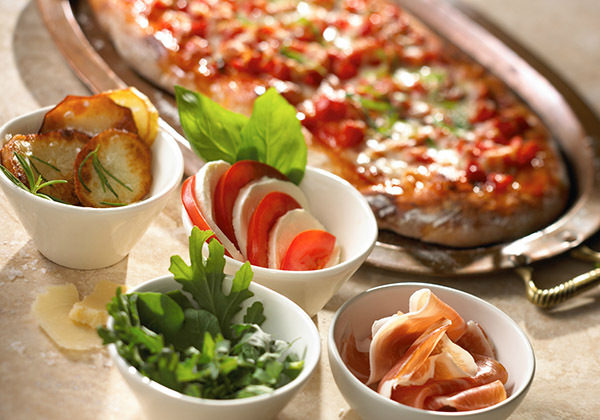 Various beach-side cafe's and restaurants can ignite your senses from fresh seafood, delicious steaks or summer salads to enjoy with a cocktail or local beer in the sun. We recommend taking the hop-on hop-off bus to travel there which you can purchase tickets to at the tourism centre (Approx AUD$15 per person) which are valid all day and stop frequently. Do not pass by without a ride in Noumea Tchou Tchou train! Throughout the year, the Tchou Tchou Train lets you discover the most beautiful views of Noumea for 2 hours. Enjoy the sights and sounds of the Caledonian capital and come get your fill of scenery and local atmosphere! Ideal for a family outing, this excursion will delight young and old! Enjoy an exciting private water taxi excursion to the world's largest lagoon and second largest great barrier reef, with a personal skipper. 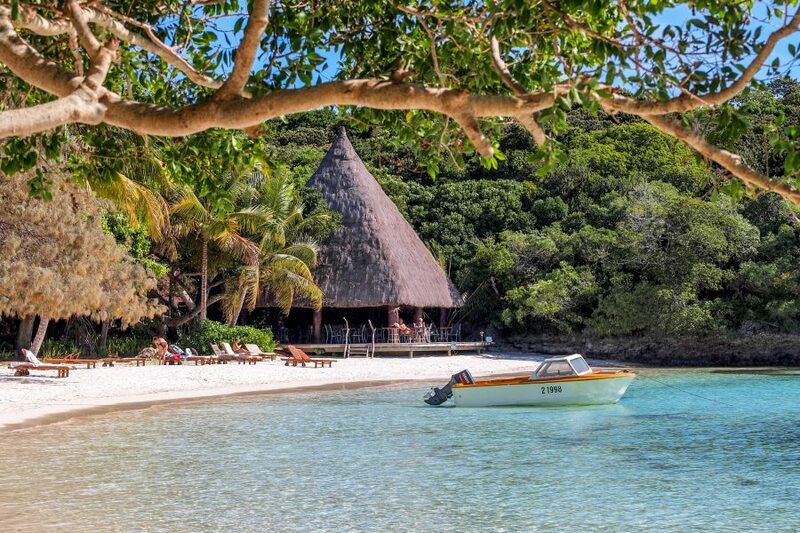 Amedee tropical island is a must-see around Noumea where you can enjoy its pristine white sands beaches and great snorkeling. The Barrier Reef is just few minutes from the Island and you will have the opportunity to view its turquoise water and local sea life. Finish your half-day adventure by soaking up the sights on your high speed water-taxi ride back to Noumea. The recently renovated Aquarium of the Lagoon houses a stunning collection of living underwater species. Its treasures include the pygmy seahorse and the famous nautilus, which is one of the emblems of New Caledonia. Other notable species found in New Caledonian waters are housed here – including sea snakes, stone fish, turtles, sharks and stingrays. Only a few minutes walk from Lemon Bay, this is a must for any new visitor to the Island. As Noumea docks in an industrial port, you will be provided a free of charge shuttle bus which will deliver you straight to the Noumea Tourist Centre to start your day on the island. 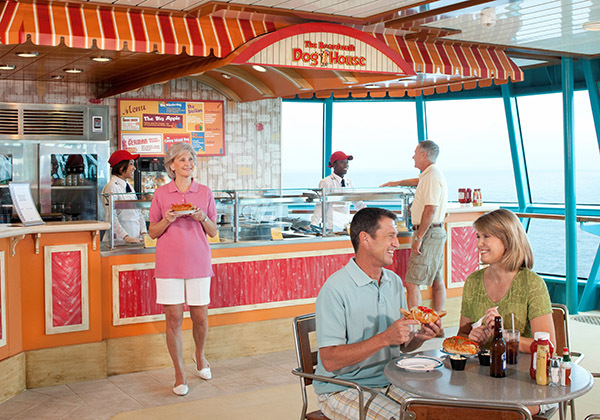 At the centre, you will find local delights at the marketplace upstairs, and various tours and day trip options from local vendors. A cafe at the centre offers french baguettes and cheese, great coffee and free wi-fi to touch base with your loved ones at home. 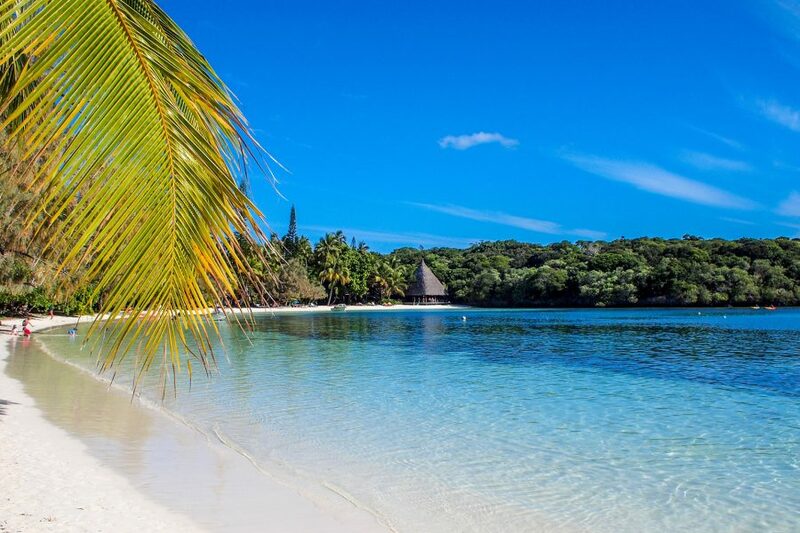 New Caledonia’s Isle of Pines is located 50 kilometres south-east of Grand Terre; a 20-minute flight from Noumea. Measuring just 18 kilometres by 14 kilometres, the Isle of Pines features pristine beaches and unspoiled bays to take your breath away. Known to the locals as ‘Kuni,’ the Isle of Pines is a little bit of paradise in the South Pacific. 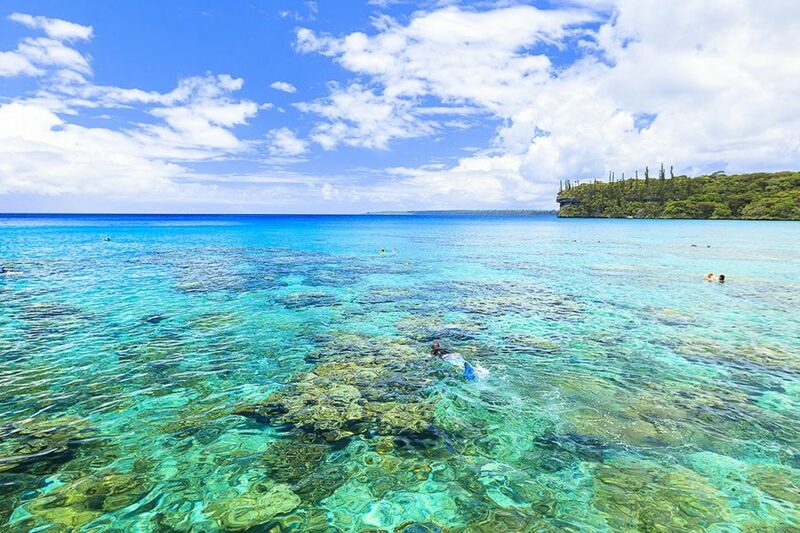 Here are the top activities for travellers exploring New Caledonia’s Isle of Pines. Maurice Bay is the perfect place to swim or snorkel in crystal clear, calm waters. Beginner snorkelers may prefer the shallow waters of the Oro natural pool near Oro Bay, located just a short walk form La Meridien Resort. Also near Oro Bay is a traditional fish reserve popular with snorkelers due to its protected waters and abundance of brightly coloured fish. Wear protective footwear and keep an eye out for submerged rays hiding in shallow water. 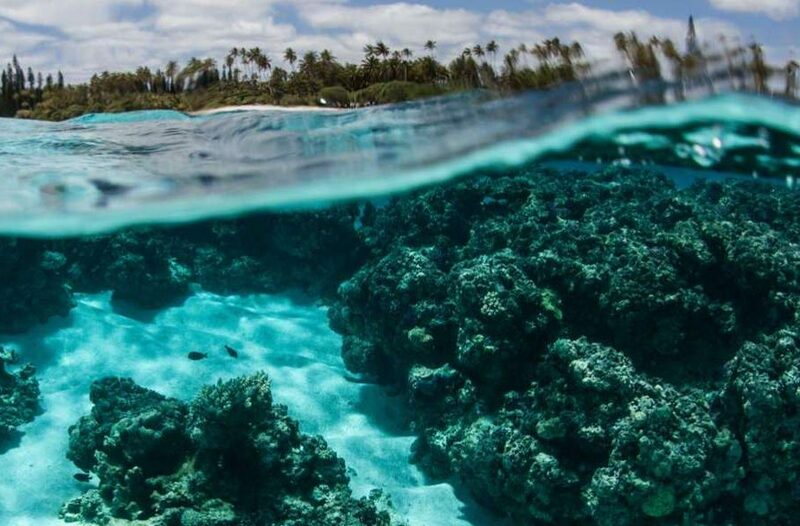 New Caledonia boasts the world’s second largest coral reef. Dive enthusiasts will be delighted with the calm, clear conditions and the colourful dive sites surrounding the Isle of Pines. At the northern end of the Isle of Pines is Gadji Pass, an ideal dive site, where you’ll discover a sheer wall in the Gogonia Valley, which drops from 10 metres to 35 metres and boasts colourful underwater scenery. The Devil’s Grotto or Satan’s Cave, accessible via a narrow corridor underwater, will amaze even the most experienced divers. The Isle of Pines offers spectacular self-guided walks and cycling tours. Visit the small village of Vao and see the statue of Saint Maurice in St Maurice Bay, where the island’s first Catholic service was held when missionaries made their presence felt in 1848 and the local Kanaks added their own protective totems of serpents, turtles and eagles, carved from tree trunks. Hike to the highest point of the island, at 262 metres, Pic Nga. Explore limestone caves, including Paradise Cave that features a lake. On the southern tip of the Isle of Pines in the South Pacific, outside the Barrier Reef, lies a tiny atoll known as Nokanhui. In this idyllic spot, with only the sea birds and an occasional butterfly for company, you can spend an entire day, fishing or reading or simply lazing around.